BetaReader.io supports importing a whole book at once, greatly simplifying the process of getting started with your beta. This article describes how to do it from a few popular text editors. 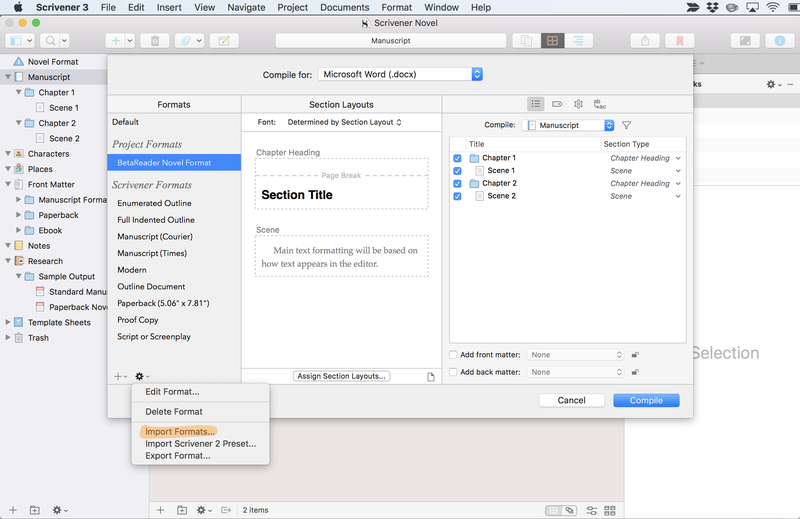 Export a docx file from your favorite text editor (see how below). 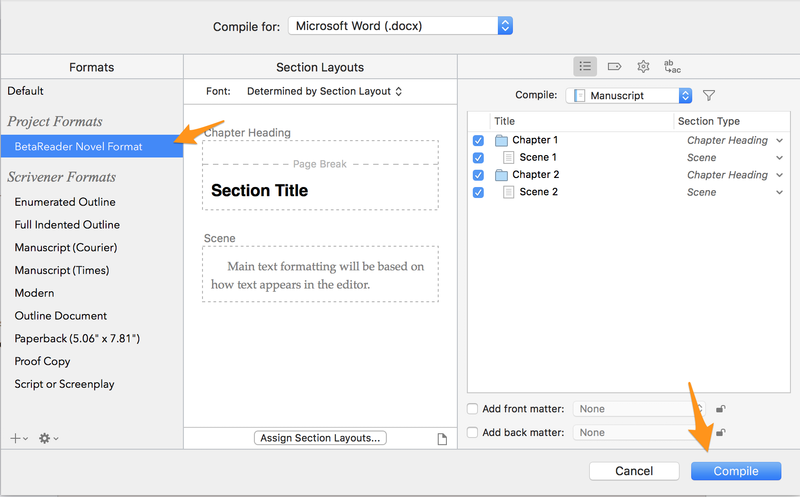 Make sure that it weighs less than 5MB, contains no images, and uses the "Header 1" style only for chapter titles. Make sure that only your chapter titles use the Heading 1 style. Check out our free docx template for inspiration. 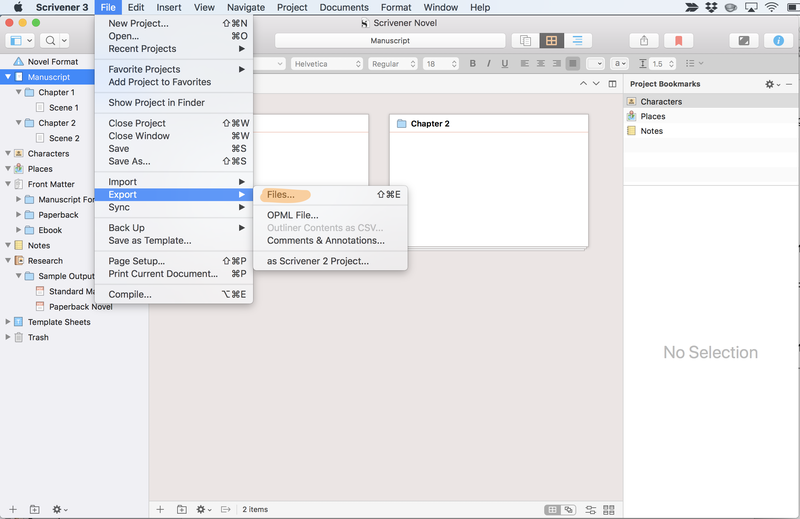 Then save your document as docx and upload it to BetaReader. Make sure that only your chapter titles use the Heading 1 style. 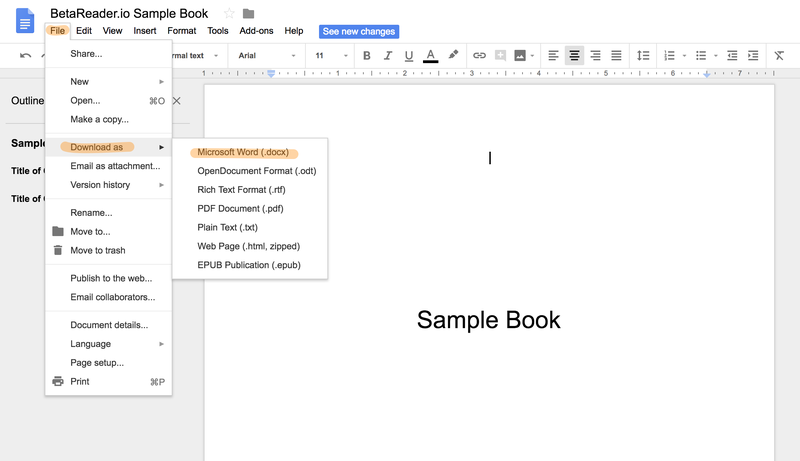 Check out our free Google Docs template for inspiration. Upload your downloaded file to BetaReader. Select the BetaReader Novel Format. Add it to My Formats or Project Formats, whichever you prefer. Select the newly imported BetaReader Novel Format and click Compile. Upload your compiled file to BetaReader.